Little Rhino loves to show the other animals who's the boss and when it comes to sharing... he will not! One will recognize kids bravoure shaded with naiveté... 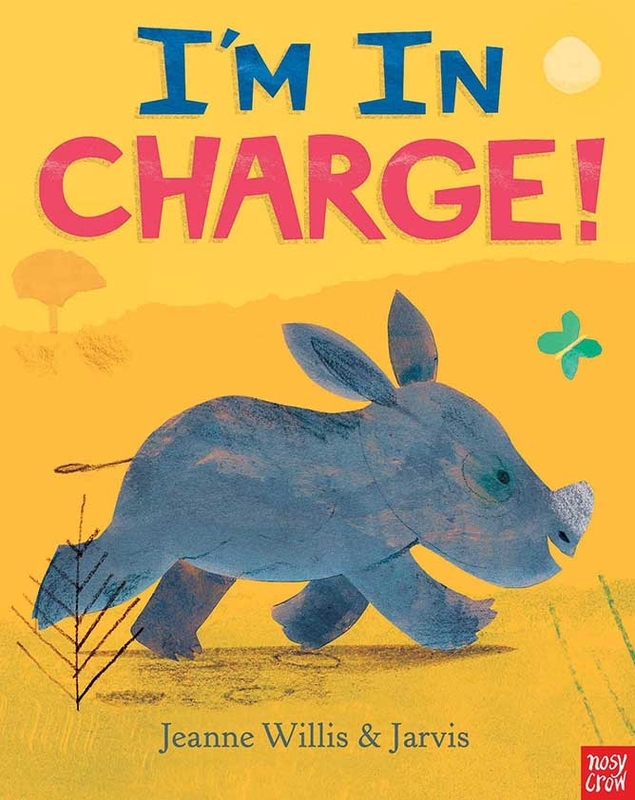 The characters Rhino encounters are to obey him until a herd of wild beasts take a hand on him..
Illustrations by Jarvis do match evey scene and are so colourful!